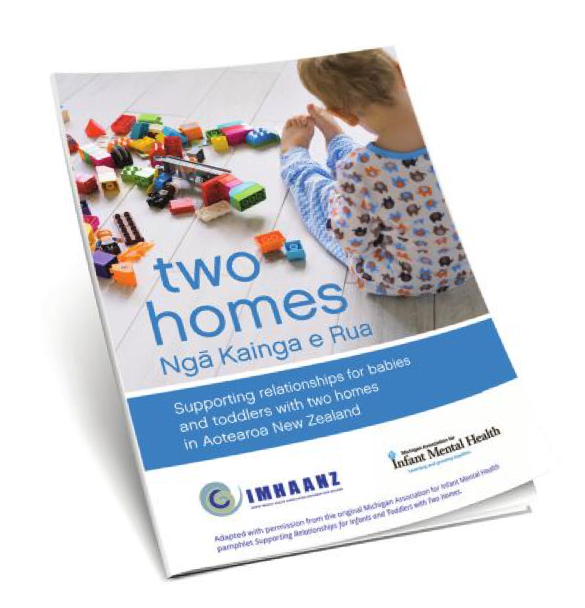 Two Homes | Ngā Kainga e Rua is a booklet about supporting relationships for babies and toddlers with two homes in Aotearoa New Zealand. It has been adapted with permission from the original Michigan Association for Infant Mental Health pamphlet Supporting Relationships for Infants and Toddlers with Two Homes. places to make your own notes. You can arrange to buy paper copies of the Two Homes | Ngā Kainga e Rua booklet by contacting secretary@imhaanz.org.nz or by filling in the Contact form below. You can currently buy copies at the special conference price of $10 each + $4 packing and postage.